Appaloosa from Appaloosa Dam and Sire!!! 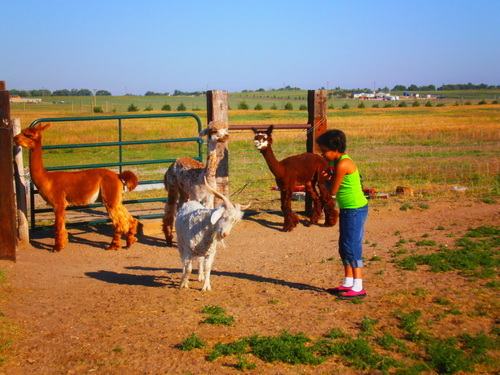 I had no idea what an alpaca was, much less fiber of any kind, until my husband said to me, "You know what would be neat to have? Alpacas". My response was, "What is an alpaca?" My husband directed my attention to the internet where my eyes feasted and absorbed one of the most beautiful and charismatic creatures I had ever seen. I was immediately drawn to them. I wanted to know everything about them. I conducted research and was provided an opportunity to meet these wonderful creatures to assure I wasn't allergic to them as with every other creature I came in contact with that had fur. To my amazement and delight, gazing into their eyes, hugging them, and running my fingers through their wonderful soft fiber, there was no rash, respiratory distress, itchy eyes, head ache, or congestion. I HAD TO HAVE SOME ALPACAS OF MY OWN!!! But wait, no land. The plans were put on hold for a while. 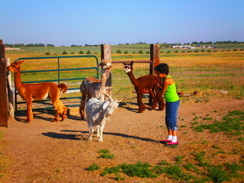 her if she wanted the fiber I would bring the alpacas to her for shearing. How on earth did I end up with (six) alpacas to start? How did three (3) additional alpacas, for a total of ten (10) end up on our property? Oh no, three (3) more! I now have a floor loom, spinning wheel, drum carder, wool picker, and every other possible tool to process my own fiber from our alpacas. I've stop counting, :-). 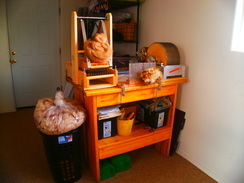 I am now considered a fiber artist, :-) . 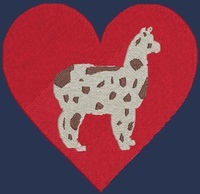 I am absolutely in love with alpacas and their fiber. 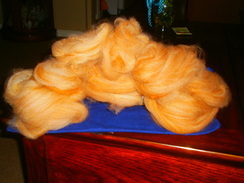 I even considered shearing my alpacas and rolling in their wonderfully soft and crimpy fiber. Did I say that out loud? Over share. :-). Our breeding program specializes in appaloosa alpacas; however, we do breed other colors with special interest in grey alpacas. 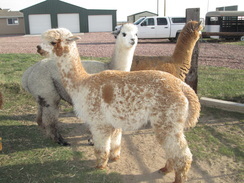 Our goals is to perfect the fiber characteristics of appaloosa and grey alpacas in addition to breeding for perfect conformation, bite, bone structure, balance, and heads to give the best possible recognition and reputation of appaloosa alpacas and increase knowledge and appreciation while reducing negative references to appaloosas, such as color contamination, of the beautiful anomaly of appalooshttp://www.zalpacaranchoz.com/about-us.htmla alpacas.